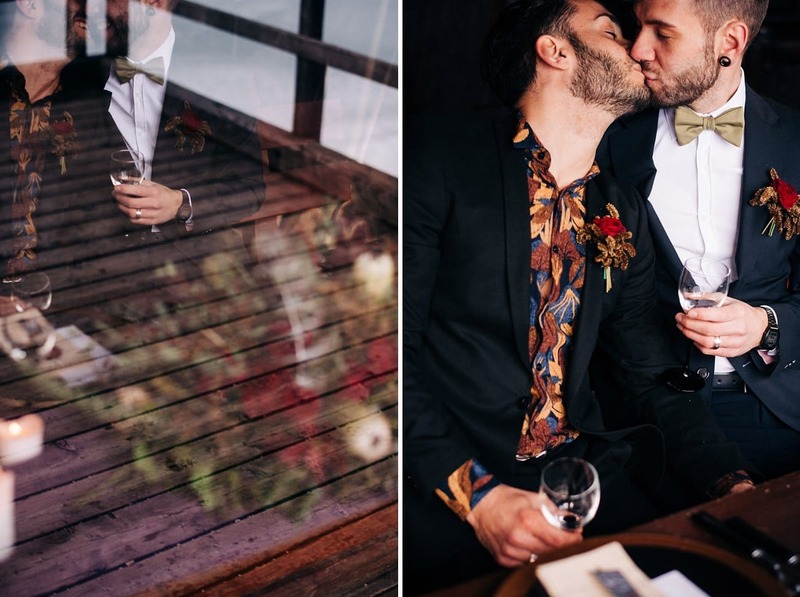 Love is all that matters to me – and when you find such a gorgeous couple, well, things get even better! 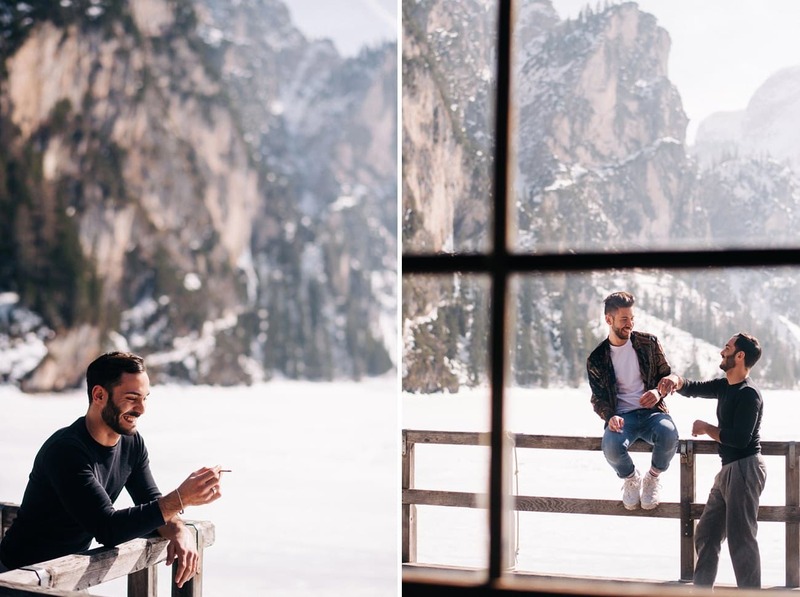 Costanzo and Matteo’s love is so precious, so beautiful. The day we spent together was simply stunning, as stunning as the magnificent background of the Dolomites and the frozen Lake Braies! 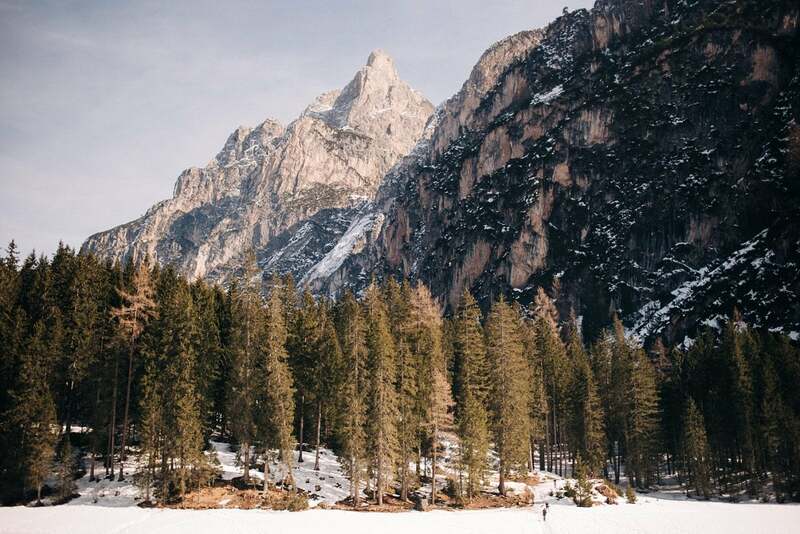 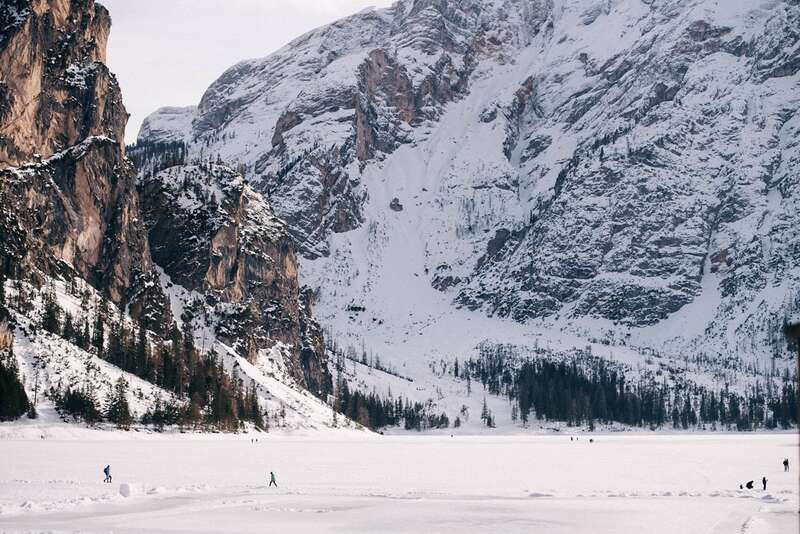 Lake Braies is a hidden gem in the heart of the Dolomites. 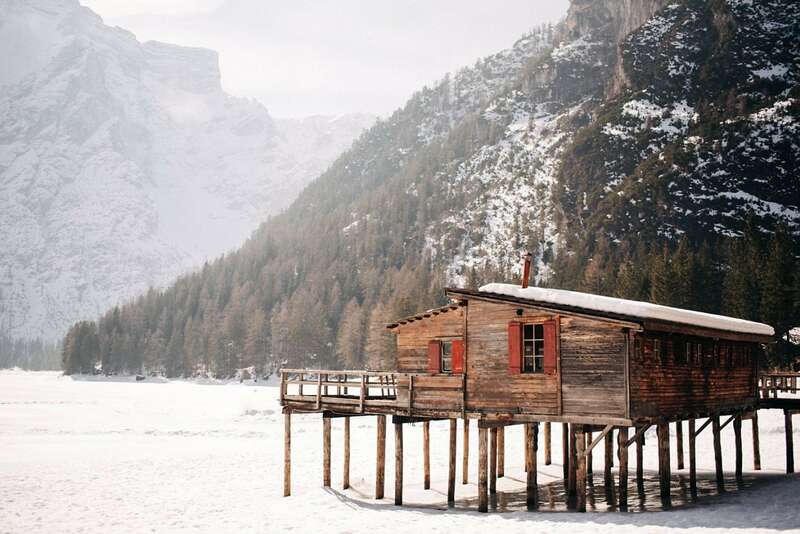 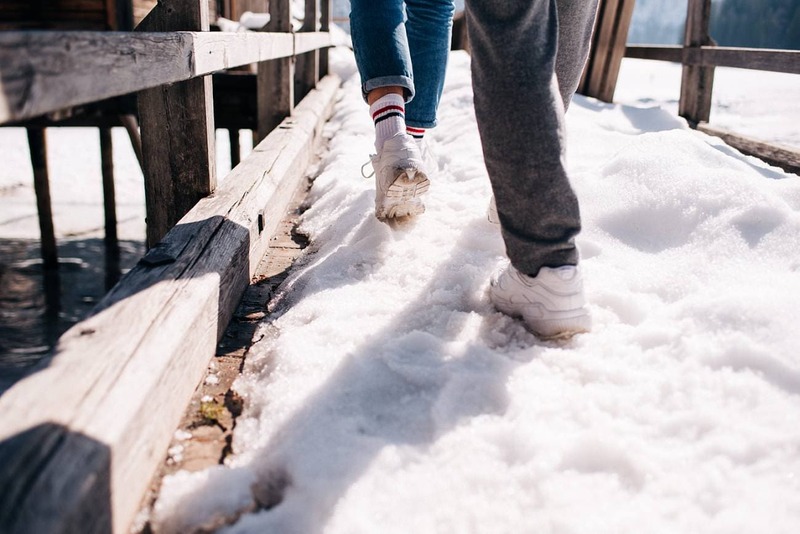 While it is famous and renowned in the summer months for its emerald waters, coming there in the winter months show a totally different atmosphere. 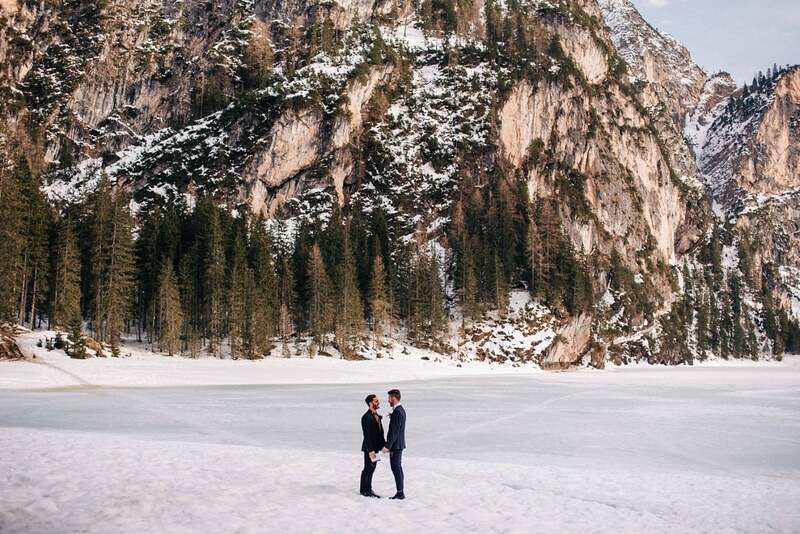 A frozen lake, a light layer of snow, an incredible scenario – we couldn’t find anything prettier! 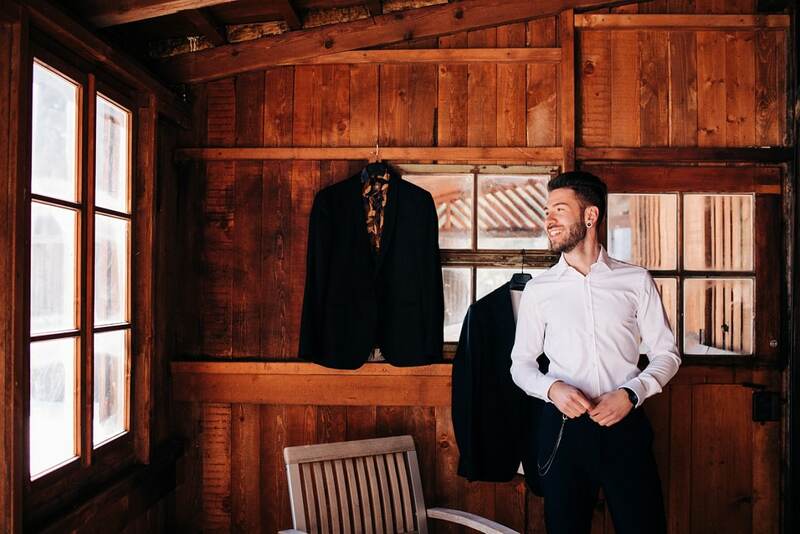 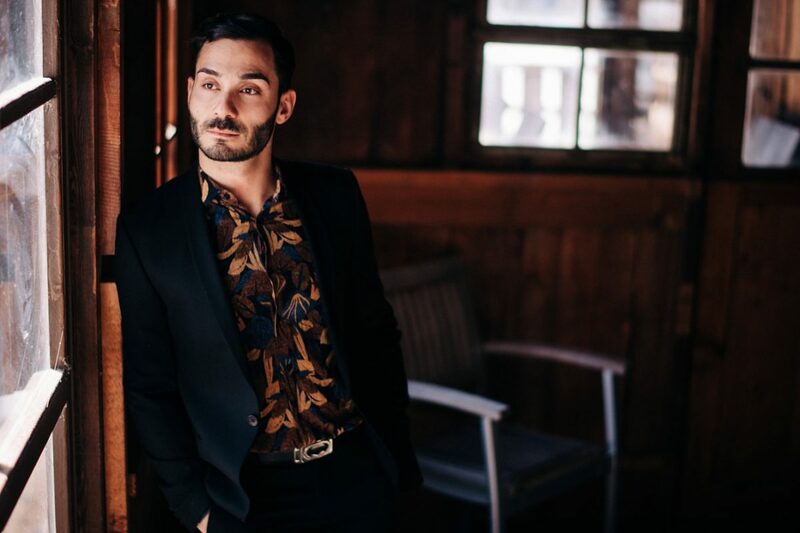 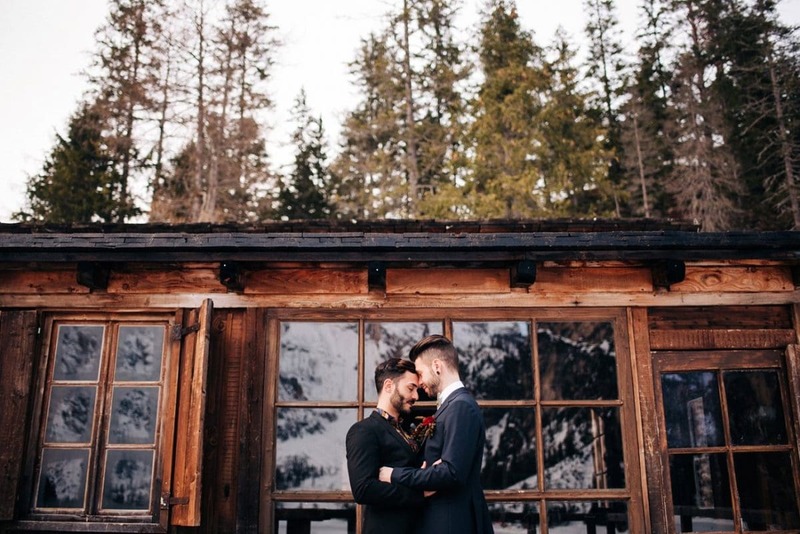 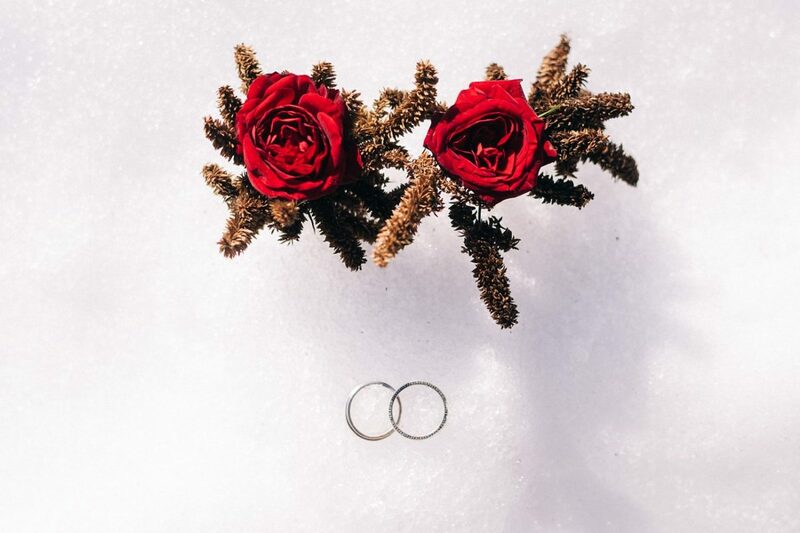 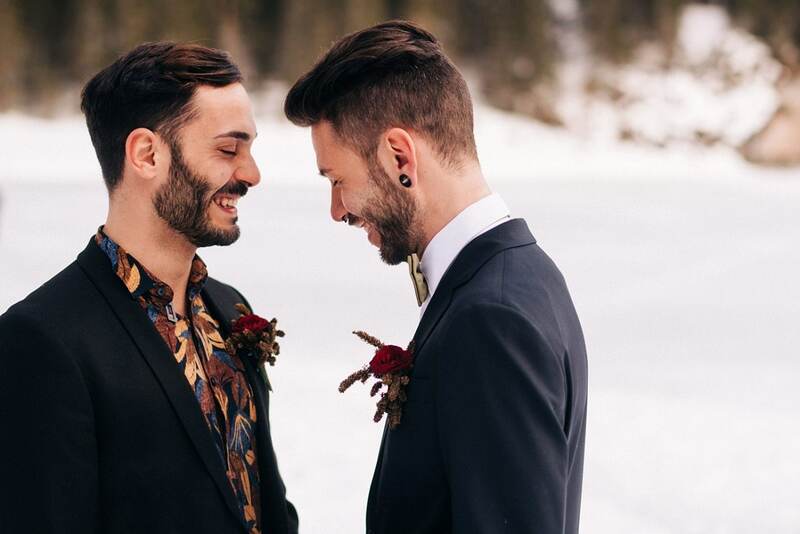 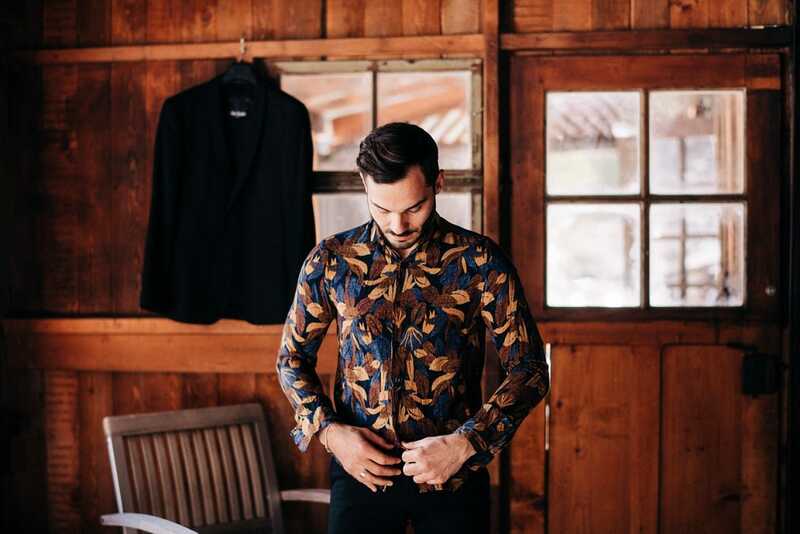 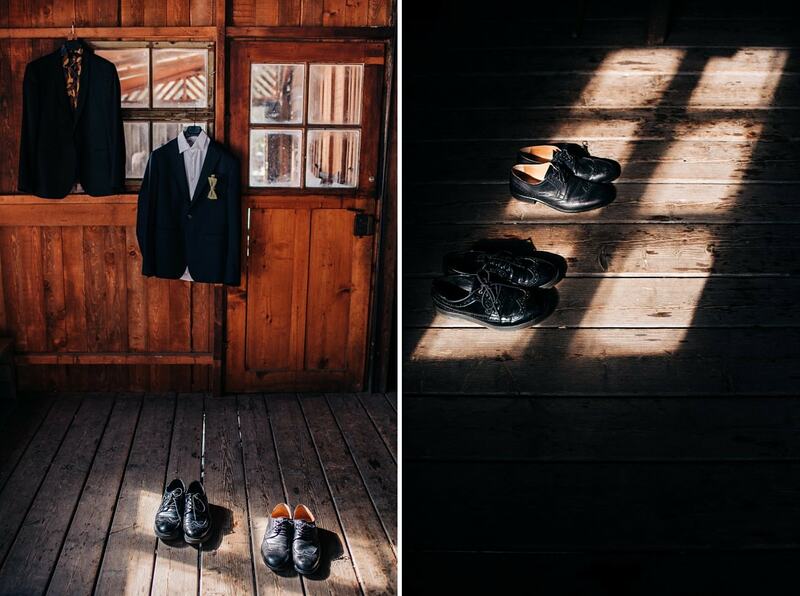 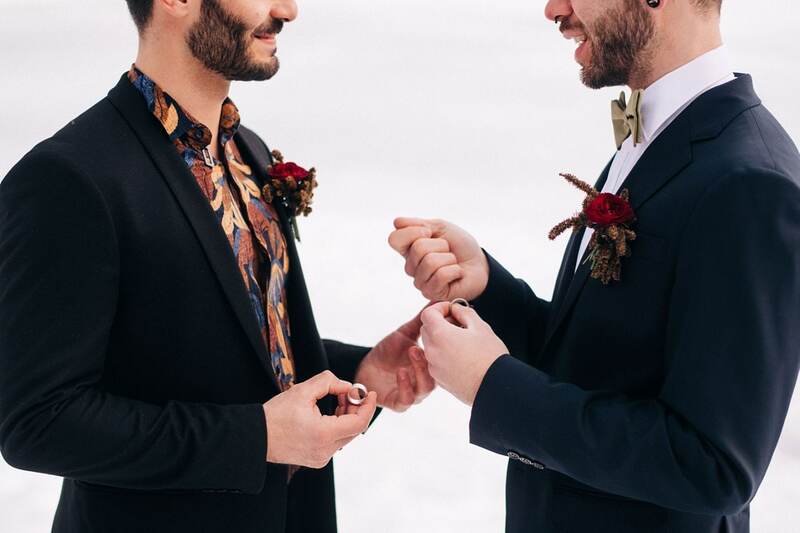 Costanzo and Matteo rented a beautiful chalet on the lake and traveled there together to celebrate their love. 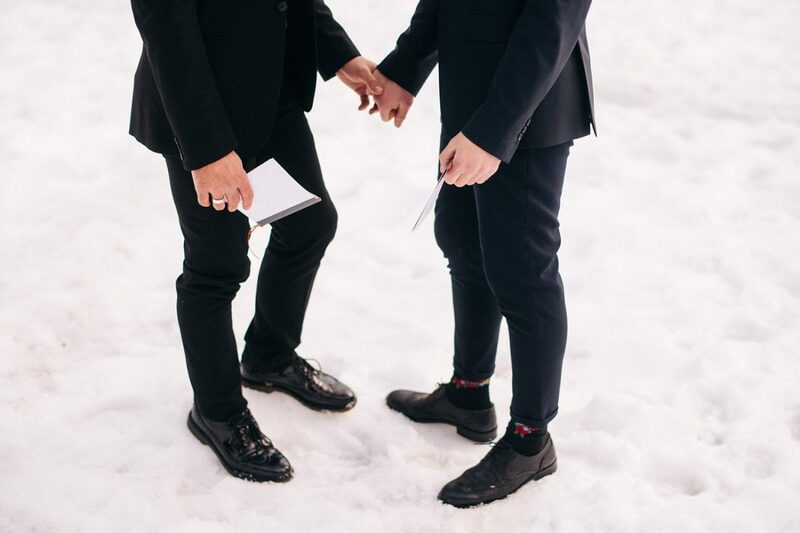 Since the day they met, they decided they wanted to see the world together, hand in hand. 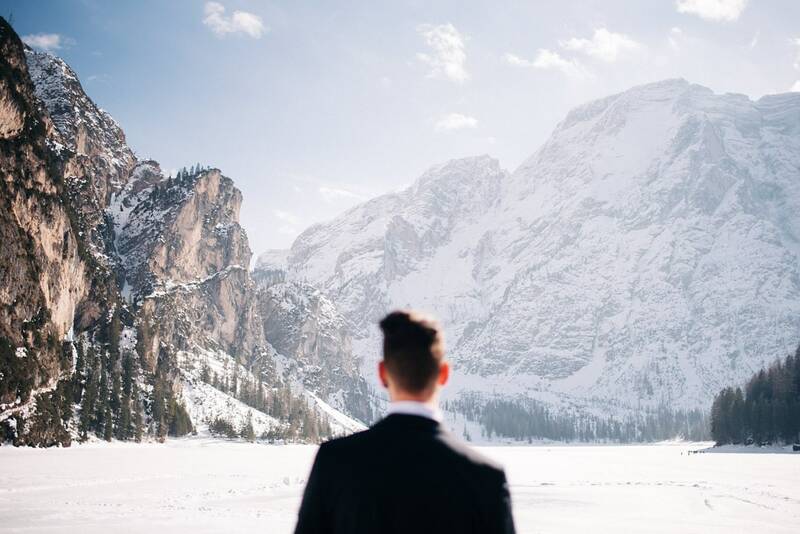 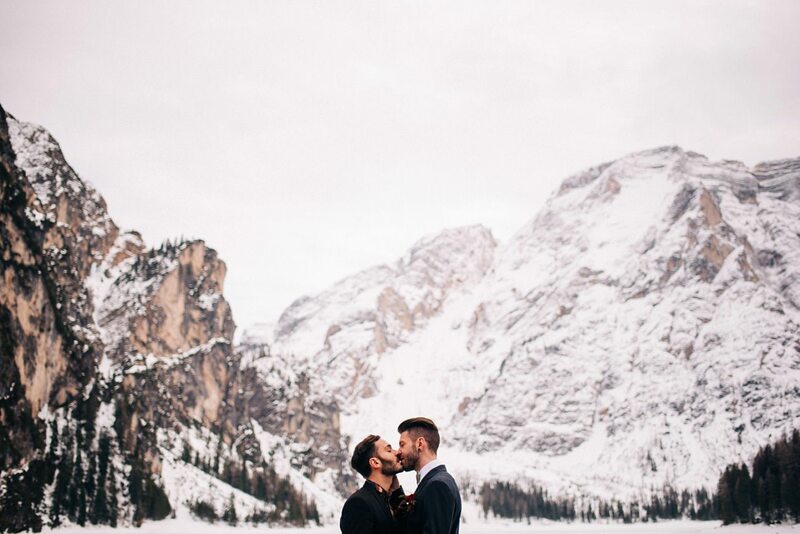 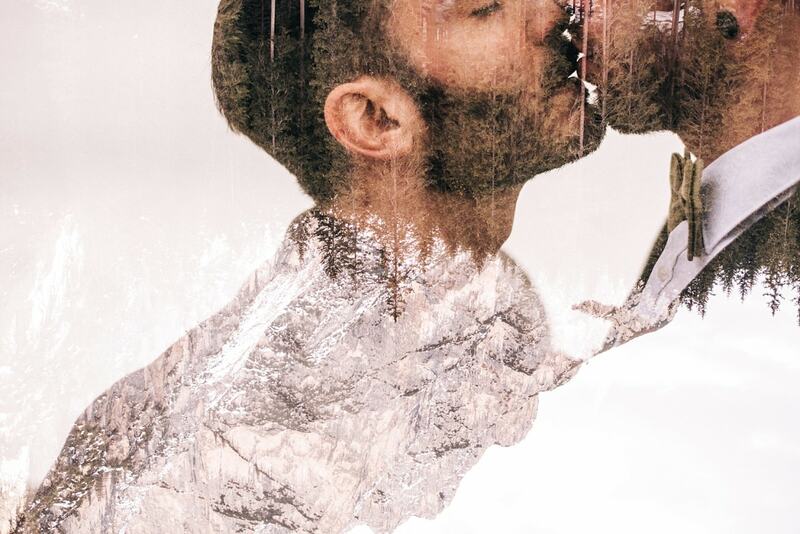 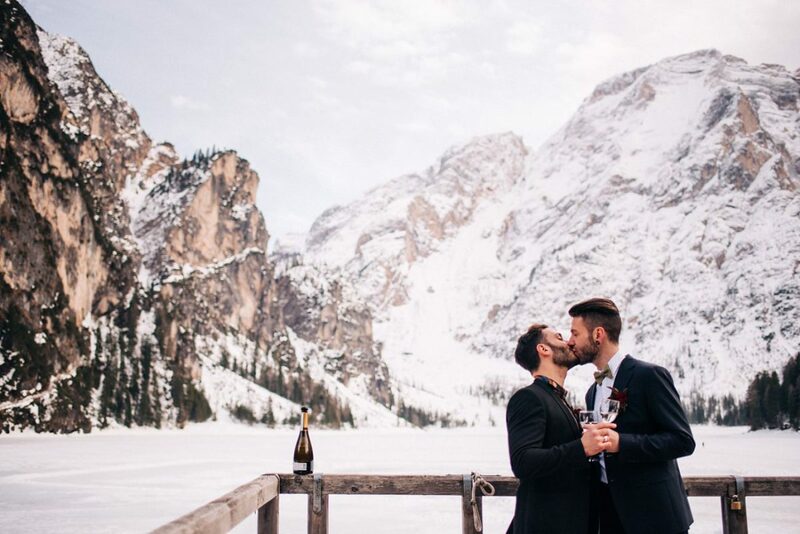 In the same way, they drove to Lake Braies to say their vows to each other. 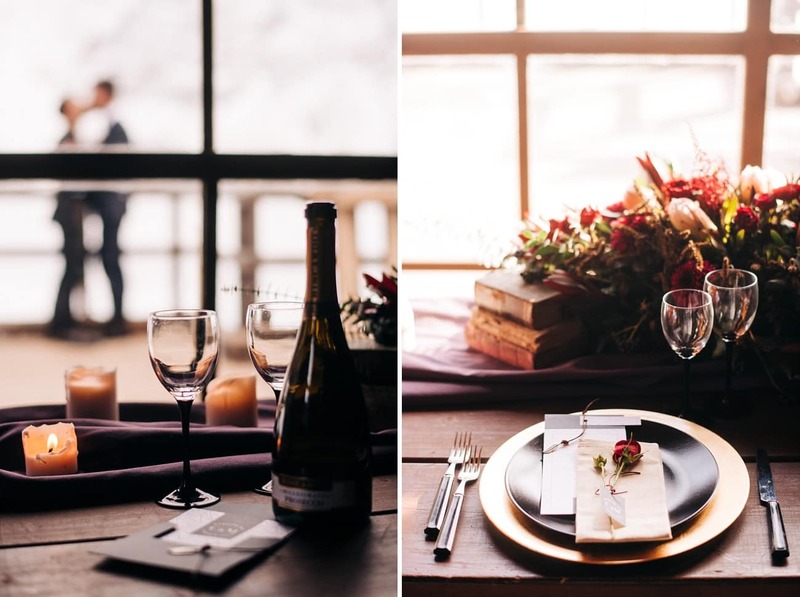 After having got ready separately, they had their first look on the terrace of the chalet – a stunning background, a stunning moment! 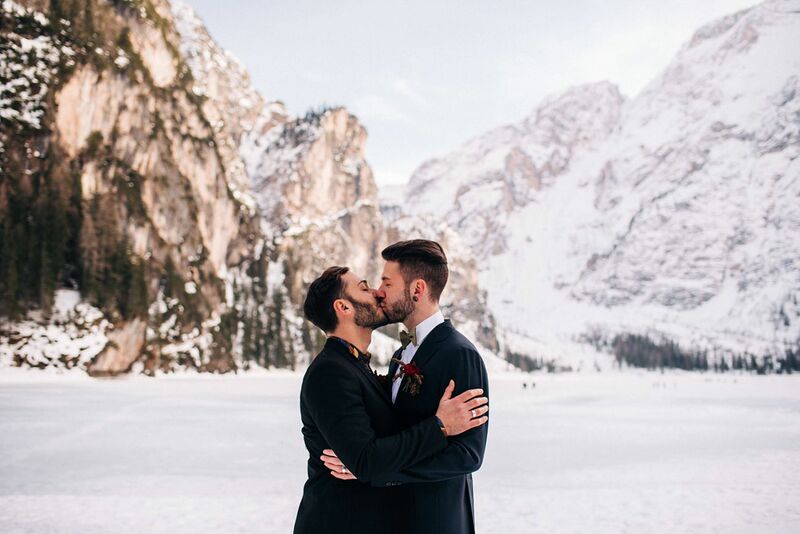 Then we walked all together to the lake, where they exchanged their vows and rings, self-proclaiming themselves Husband and Husband! 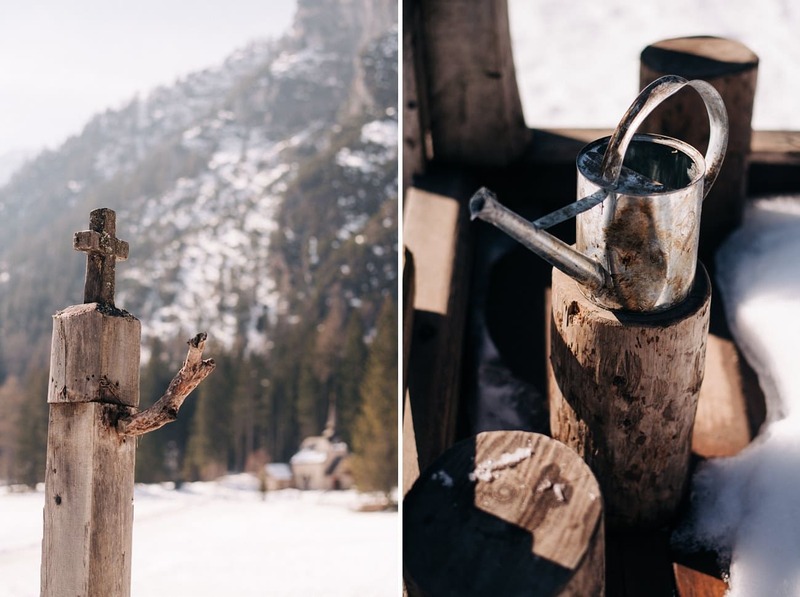 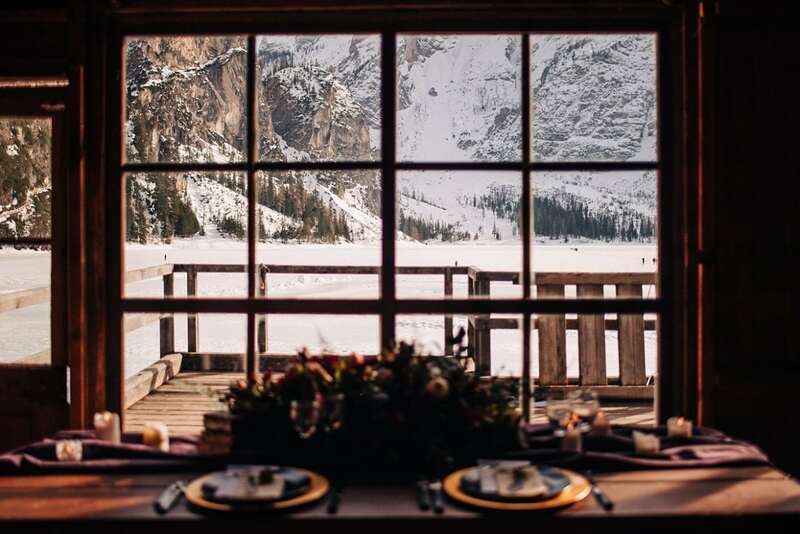 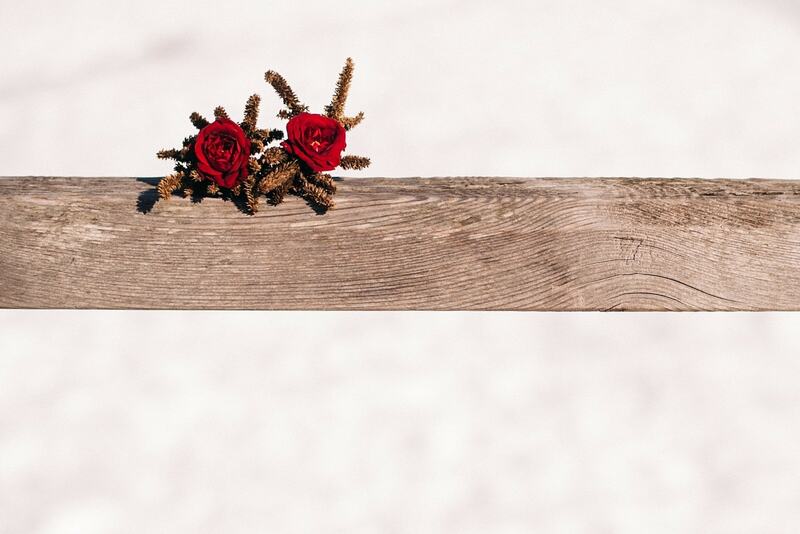 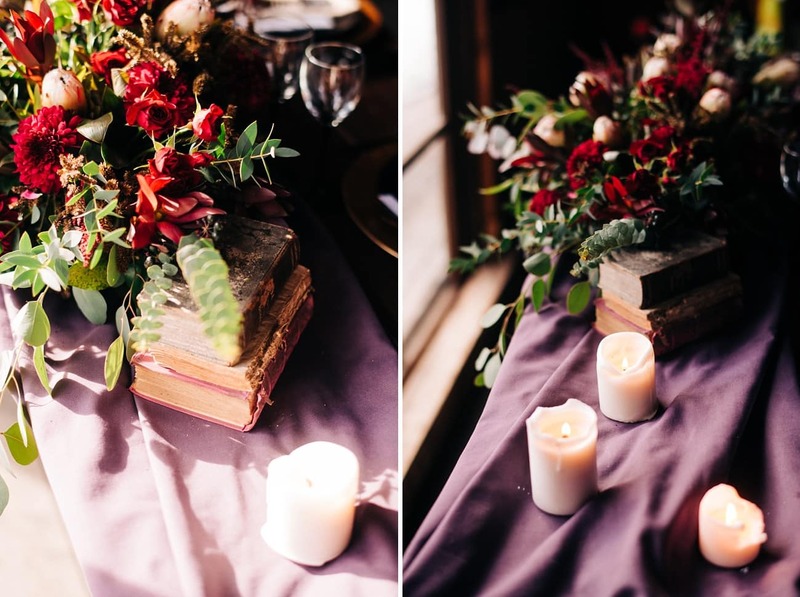 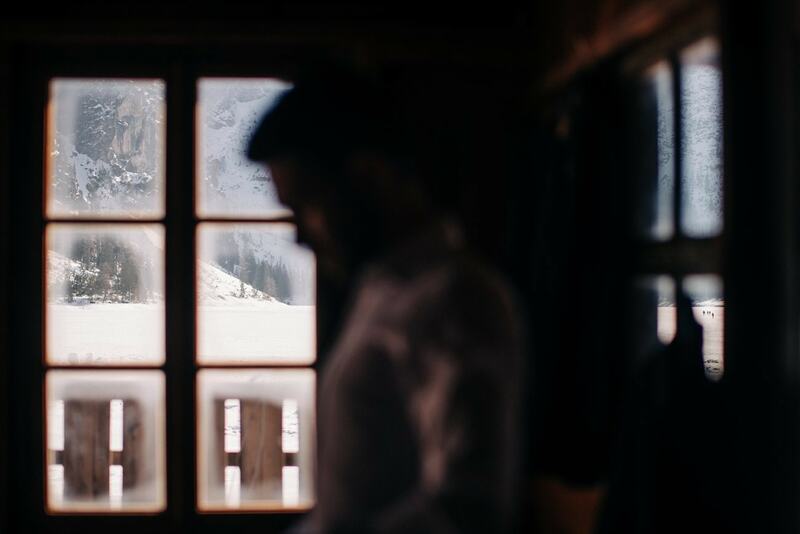 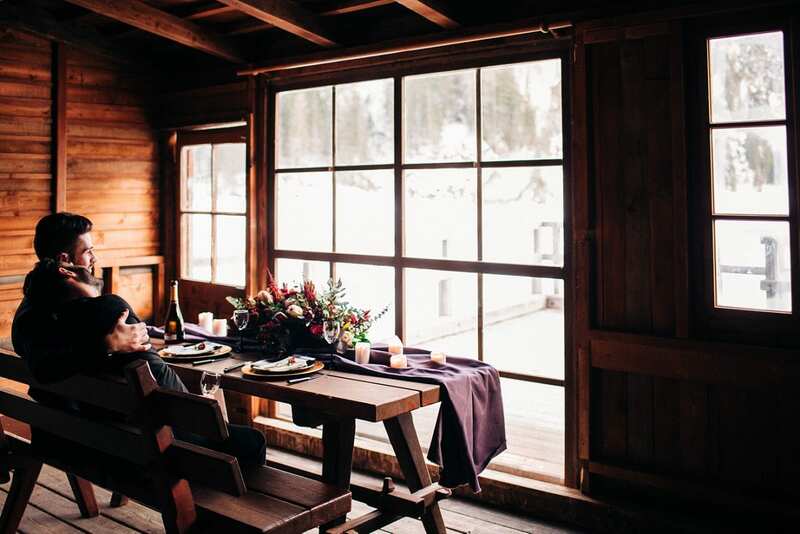 After the ceremony, we had a couple shoot in the stunning scenario of Lake Braies, and ended the day with a dinner for two in the chalet, with the stunning floral decor and wedding design of Petite Lala and Bee in Love. 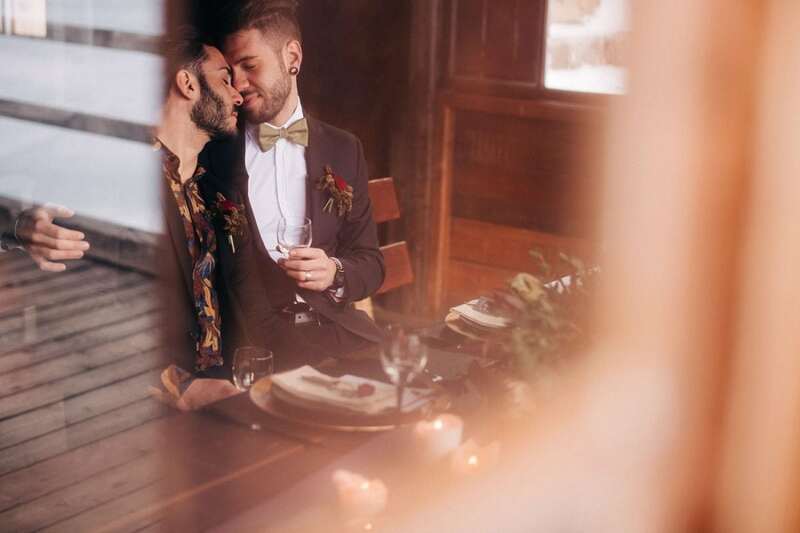 A day to remember – a love to be celebrated every day!